You think we are all different. You think our struggles are unique. Then you travel the world and you are reminded of the beautiful and powerful poem, Human Family, by Maya Angelou. In that poem, she teaches us that we are all people, and we are so much more alike than different. This has been made even more apparent this week during my trip to Algeria. I was invited to be a part of the Legacy International Professional Fellows Program U.S. Delegation to Algeria. “The Professional Fellows Program brings together emerging leaders from around the world who are working in the legislative process and governance, civic engagement, NGO management, economic empowerment and entrepreneurship, and journalism arenas with American counterparts from across the country. The Professional Fellows Program establishes structured interaction among American and international participants aimed at developing sustained professional ties and lasting partnerships” – US State Department. Legacy International is dedicated to promoting peace by strengthening civil society and fostering a culture of participation worldwide and have been an excellent client and partner in my role as a social entrepreneur. I worked with the Legacy Algerian Pro Fellows when they were in America on their inbound exchange program. We did workshops on storytelling pitching story ideas. Now, I am part of the Legacy International outbound cultural exchange program to learn from and share with NGOs in Algiers and Oran. The week concludes with the delegates conducting workshops and roundtable discussions to provide skills to continue to build their civil society and to help them grow their NGO or Association. However, before the week wraps up I wanted to share today’s experiences. It proved to be an amazing day of storytelling and cultural exchange. We started the day meeting with two Oran “Associations” or what we would call in the U.S. nonprofit organizations. 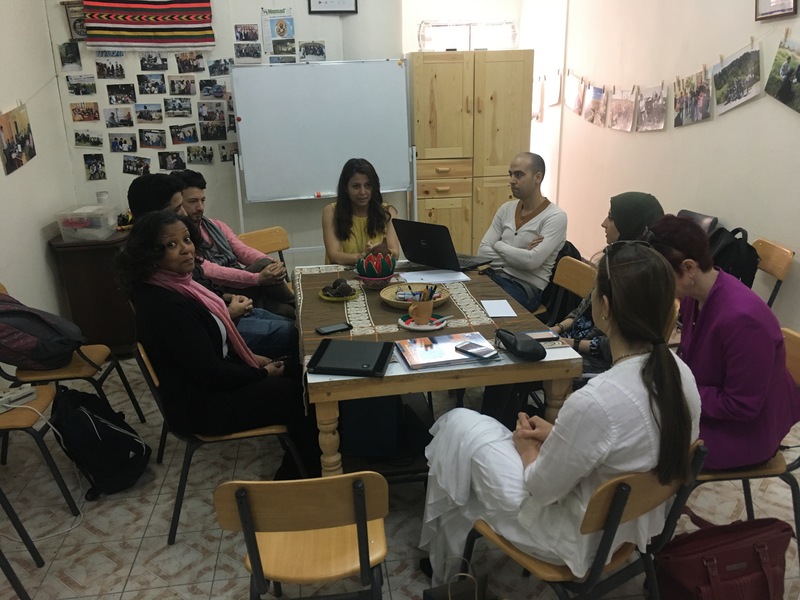 Our first stop was to Les NOMADES Algériens where we learned about the challenges and strategies of a newly formed Association in Oran. 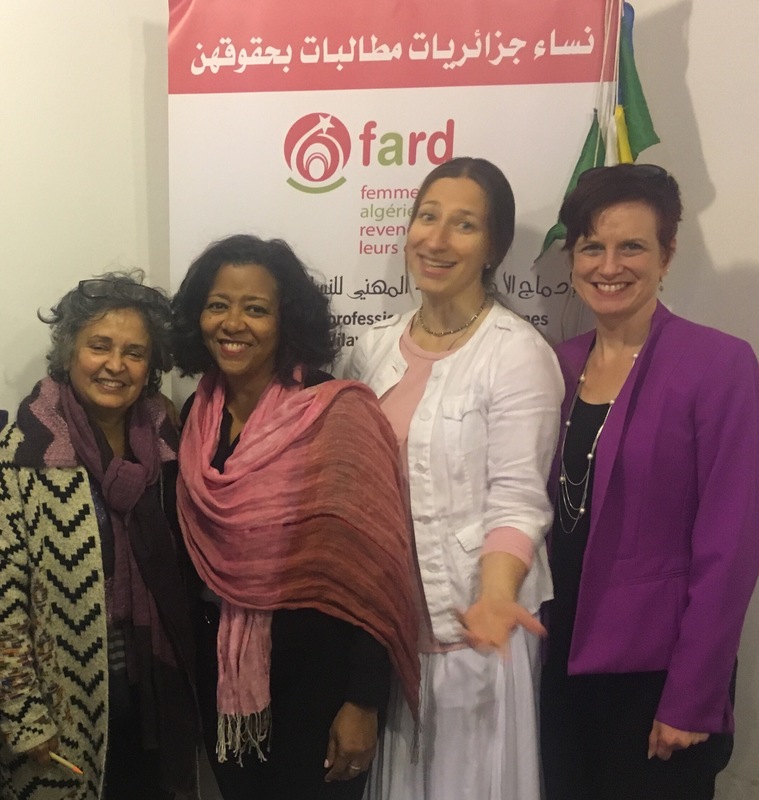 It was interesting to learn how the group used art and visual storytelling – amazing photos and compelling video – to communicate complex issues around their mission to help disenfranchised children in Oran. They found that when you are trying to raise awareness and promote advocacy in the fight for children’s mental health, education or to improve their living conditions, using visuals helps tell the story. While they are still a new Association, NOMADES has compelling content that is sure to catch the eye of funders, grantors, volunteers and participants. I always encourage nonprofits in America to approach their storytelling the same way – to use compelling visuals to tell your story and mission in a provocative and heart – warming way. It appears good, visual storytelling is a universal concept. The other organization, Femmes Algériennes Revendiquant leurs Droits, is a well established NGO/Association in Oran. They are doing impressive and impactful work in the fight for women’s rights. 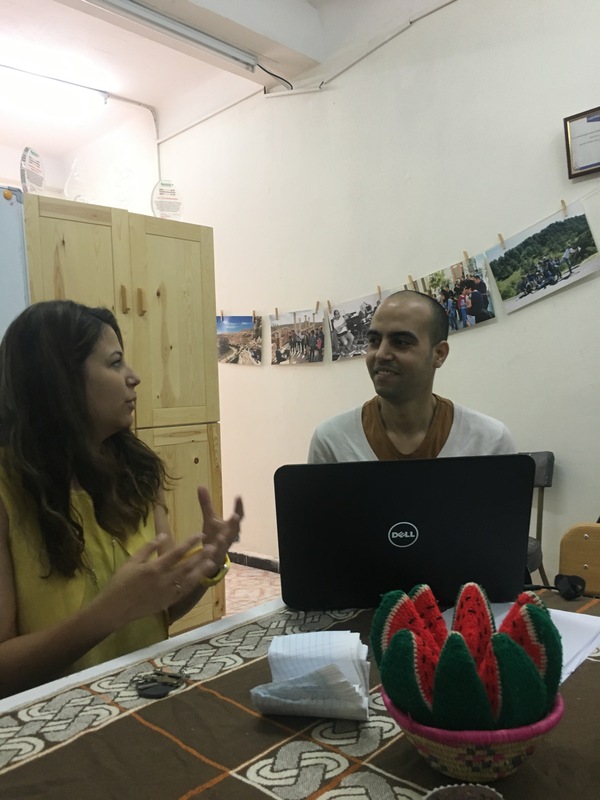 They not only use special events and medical and legal assistance to help the women of Oran – sometimes at great risk to themselves – they too use visual storytelling to communicate their mission and outreach services. While they use traditional communication tactics to include flyers, posters, banners and printed material, it is their visual storytelling that is making the most impact. With an all female crew and production team, FARD is producing a series of documentaries to raise awareness about the specific and unique challenges in the fight for women’s human rights in Oran. These rights include everything from stopping violence against women, equality in employment and education, to the type of clothing women should be required to wear or the places women should go in public. We also spoke to a young woman who felt grateful but removed from FARD. This is not unlike the many young women in the U.S. who say they feel removed from the feminist movement or NOW organization. Fighting for women and children rights are causes of great concern in Algeria and the also in America. This is not surprising. Women’s rights are human rights. When you empower women, you empower the world. While the nuances of women’s rights advocacy may change from region to region, we are all still in the same human rights fight together. Children are our future. Making sure youth are well cared for is the concern of everyone across the globe. Through all of this, great storytelling remains a powerful communication tool that can play on the heart strings of the public and call about the real change needed in communities across the globe.